I am also watching the anime, which is currently airing, and thought I would check out the manga. Sometimes there are some differences between manga/anime, so I was curious to see if there were any for this series. And yes, there are some chances. For example, less carrying of Tanaka, the school is totally different in the manga (normal building, while the one in the anime is pretty modern, lets in lots of light, and there is a lot of space), then there are a few other little things that are changed between manga > anime, but I have to say I approve of those changes as they add a bit of extra to the short chapters in the manga. So far the anime is doing a fantastic job of adapting the manga. 90% of what is done in the manga (in this volume) is copied over to the anime. The last chapter isn’t in the anime, but I am sure it will get there eventually. I have to say that, after reading this, I prefer the anime. It is just more lively, and the jokes are way more funny. Tanaka’s listlessness is way more interesting and funny when animated. Now it often just falls flat and that is a shame. Also the friendship between Oota and Tanaka feels less forced and more natural in the anime. I do like the art (and I am surprised that the anime is so close in style). It just fits this manga perfectly. There aren’t that many details, which is perfect for this manga and what it is about. It was fun to see Tanaka and Oota in manga form, they really are great characters, and I am still amazed at how far Oota is willing to go for Tanaka. I am not sure if anyone else would do this much for their best friend. But all in all, I quite enjoyed reading this manga. I am not sure if I will continue reading it though, maybe after the anime is finished. 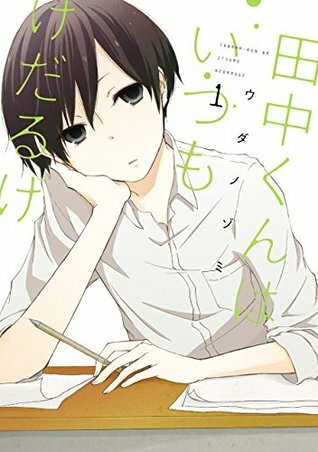 I would also still recommend this one (manga and anime) to everyone looking for a fun slice-of-life story with interesting characters.